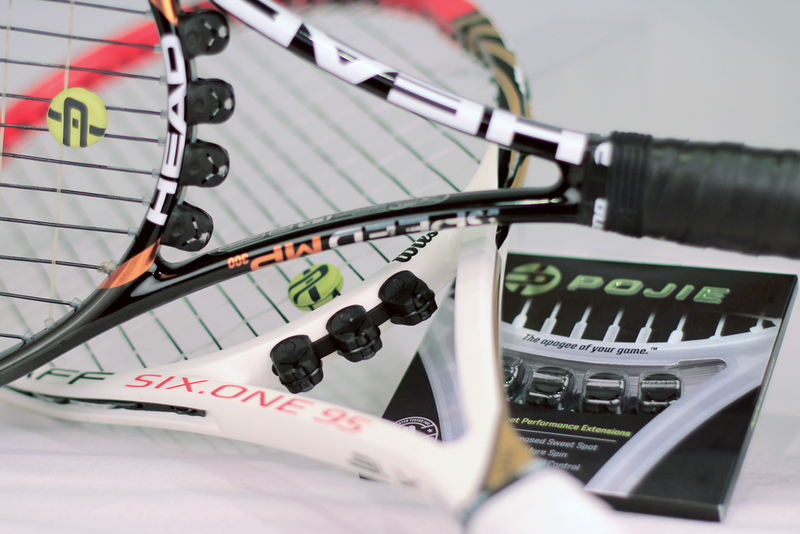 Simply add the Pojie units to your normal stringing process. If the racquet has six string holes at the throat of the frame, place the first Pojie unit between 1LM and 1RM. If the racquet has eight string holes at the throat place the first Pojie unit between 1LM and 2LM and 1RM and 2RM. Tension the strings as usual to seat the Pojie against the racquet frame over the stock grommet. Repeat this process until all loops at the throat are filled.